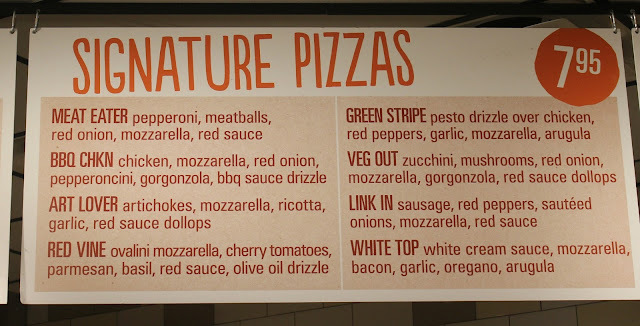 I am so excited New Town in Williamsburg has a new pizza eatery! Fast service, so many toppings to choose from and friendly staff and owners! This will be your new, go to pizza eatery! I was invited to visit the newest location of Blaze Pizza located on Main street in New Town right across from American Family Fitness and asked my mom and hubby to join me. With an interactive assembly line of toppings and employees, what you can dream is at your fingertips. Choose a signature pizza and add on any other topping your heart desires or why not create your own? All under $8 too! The pizzas are big enough to share or take home with you after you have had enough! We came home with three boxes. Known for artisanal pizzas, freshly made salads, the BLOOD ORANGE LEMONADE, an the s'mores cookie. Have any specialty dietary needs? 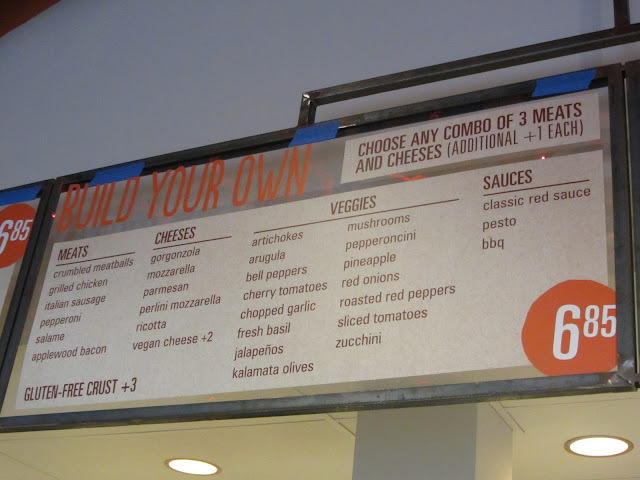 Blaze Pizza also offers gluten free dough and vegan cheese. A selection of craft beer is also available! I chose the Meat Eaters pizza and added bacon. Joe chose The Green Stripe and added a Cesar Salad. Mom chose the Link In and added her love of banana peppers. Thursday November 19th is Opening Day and Friday is FREE PIZZA day. Who doesn't love FREE PIZZA? You will love this place, I know. I can't wait to go back- It'll probably be Friday. See you there? Why not go ahead and follow them on Facebook, Twitter or Instagram? My parents are staying in Williamsburg this weekend and I'd love to find a good pizza place to take them to! Thanks for the recommendation! Awesome! I hope y'all tried it! So good!! Oh my goodness! I wish I lived closer to this awesome looking pizza place. If I am ever in the area, I will definitely try it out. Check out their website and see if one is close by. So good! Oh yum, we usually trek up to Williamsburg about once a month I will have to keep this in mind when we go. The thin crust looks delicious. We love it and have been multiple times since it opened!